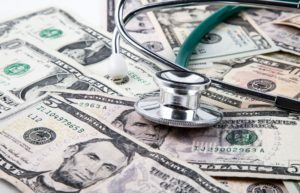 No matter which side of the aisle you reside, healthcare professionals are looking at a mixed bag of good, bad, and indifferent in the budget blueprint put forward by the administration. 1. President Trump’s budget requests $68.4 billion in discretionary spending for HHS, which is a 21 percent decrease from 2017 funding levels. 2. The budget accounts for $675 billion in net mandatory savings to repeal and replace the ACA. 3. Funding to combat the opioid epidemic is a major focus of the budget. 4. A second major aim of the budget is to address high drug prices through Medicare Part D and B reforms and a Medicaid demonstration. 5. The budget expands Medicaid coverage related to opioid addiction treatment and proposes a Medicare bundled payment for medication-assisted treatment, as well as reimbursement for such treatment. 6. The budget calls for $70.7 billion for the Veterans Health Administration, up 9.6 percent from 2017 levels. 7. The budget would extend Medicare solvency by eight more years and increase flexibility in the Medicaid program, according to the White House. 8. Health Care Fraud and Abuse Control would receive discretionary funds of $770 million, up $45 million from 2017 levels. 9. The budget cuts $451 million in health professional training and consolidates graduate medical education spending into a capped grant program. 10. The budget would eliminate the Agency for Healthcare Research and Quality. 11. The addendum includes $9.2 billion more in funds for NIH. 12. The budget cuts spending for the Office of National Coordinator for Health IT by 36 percent. 13. Federal public health officials could face job cuts. 14. The budget includes a proposal to shift CDC funds for emergency preparedness and health security to HHS. 15. Infectious disease programs would receive a boost of $40 million through the CDC. That’s some heavy lifting for sure. OrboGraph is finalizing our healthcare speaker list for our 2018 Healthcare and Check Payment Technology Conference. We’ll be covering some of these interesting topics! Be on the lookout for our final speaker selection.